Posted By:Unknown | At:7:28 AM Be the first to comment! (AJC) --- Two years after President Obama dedicated the country’s first National Mall monument to a regular citizen and an African American, the family of Martin Luther King Jr. has refused to allow the organization that was the guiding force behind getting his statue erected to continue using King’s name. The name change should not hurt the foundation’s new mission — to raise money dedicated to the upkeep of the monument and to ensure visitors worldwide experience the monument, said foundation president Harry E. Johnson, Sr. But others think the decision reflects poorly on King’s children, who have been quick to legally protect King’s image from others trying to profit from it. While selling his image to several national advertisers, the estate has sued newspapers and authors who have tried to use King’s words. Bernice King, chief executive officer of the King Center, is out of the country and not available for comment, a spokesman said. A spokesperson for Martin Luther King III said he would not comment because it is a legal matter. But Tricia Harris, the former general manager of Intellectual Property Management, the for-profit organization set up to run the King estate, said the terms were always clear – the relationship would have a beginning and an ending. Harris, who is now an independent consultant, said she was not speaking on the Kings’ behalf. She said while the foundation wanted to be able to raise money in King’s name, a delicate balance had to be struck, because fund-raising and programming are also the purpose of the King Center. The King Memorial was dedicated by Obama in 2011 after more than 25 years of planning and funding by King’s fraternity, Alpha Phi Alpha. The fraternity raised more than $120 million of the project. The foundation paid $2.7 million to the King children to use his very likeness on the monument and to use his quotes, which adorn the massive structure. 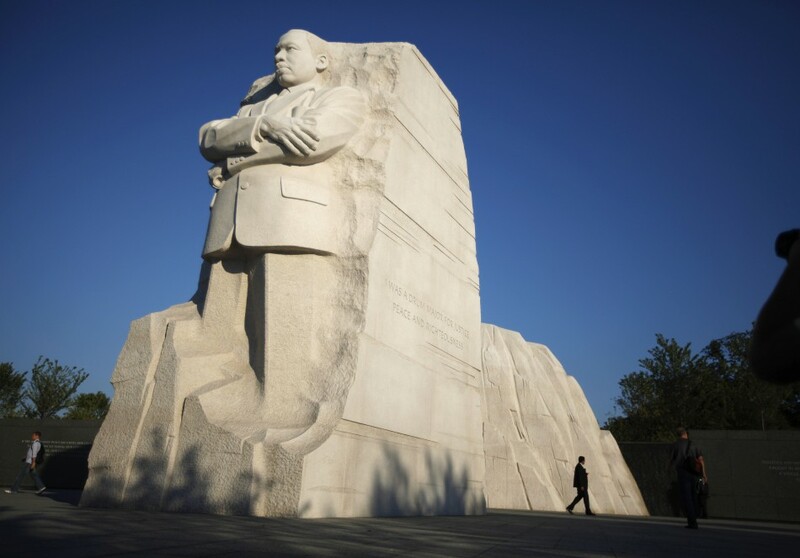 The website www.mlkmemorial.org, which played a key role in soliciting donations and providing information about the memorial, shut down after family members, through attorneys, demanded it be turned over to them. Clarence Jones, who served as a personal adviser, speech writer and attorney for King, said on the one hand, the family is owed a great debt by the country. But on the other hand, their actions would embarrass their father. Earlier this month, a federal appeals court ruled that Howard Ballou, a Mississippi television anchor, could keep a stack of King-related documents owned by his mother, Maude Ballou, who worked as King’s secretary from 1955 to 1960 while he led the Montgomery Improvement Association. The King estate sued in 2011, claiming ownership of the papers. Maude Ballou said the documents – which included a sermon, a statement made by King the day after a Supreme Court ruling on segregation, and a handwritten letter to her from Rosa Parks – were personally given to her by King. Although some may consider the family to be over-protective in guarding King’s legacy in his writings, words and image, in the case of the Memorial Foundation there could be a “reasonable business decision” behind the move, said Philippa S. Loengard, assistant director of the Kernochan Center for Law, Media & the Arts at the Columbia University’s law school.